Combine favorable tax benefits and donate directly from your fund to FINCA. Nearly 1 billion women don't have access to a bank account or other financial services. 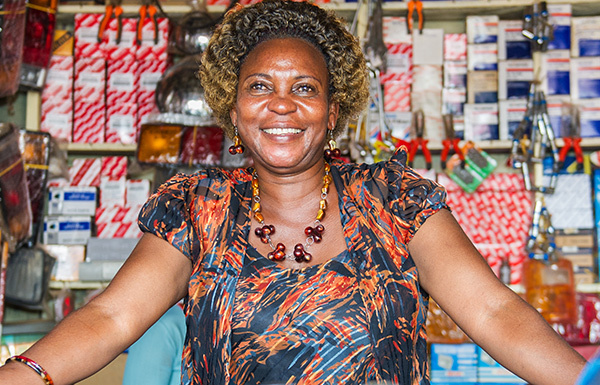 Stand with women entrepreneurs and support their financial inclusion so they can make a better life for themselves, their families and their communities. Create a lasting legacy and make a planned gift that will support poor families for generations to come. Your gift of stock or wire transfer is a tax-advantageous way of supporting entrepreneurs. Make a symbolic gift to family or friends that represents your personal values and beliefs. Work with us and feel good about your job every day. We're looking for skilled professionals in the US and overseas. Join a global network of advisors working together to accelerate progress of market-based solutions to poverty.